Last week, we showed you how important it is to back up your data and some of the different backup options for Mac that you have available, and also explained how to keep your Mac backed up with and without Time Machine. After all, if you don't back up regularly, you could lose essential and irreplaceable files. The same is true for your iPhone or iPad. While you may not have a lot of documents on these devices that aren't stored on a cloud server—which you can easily retrieve if necessary—you are likely to have photos and videos which, if you haven't backed up, could be lost. Additionally, it can take a long time to re-create the setup of your iOS device; re-downloading all your apps, entering your user information, and organizing them on home screens can be a tedious process. If you have a problem and need to restore your iOS device, it's easy to do from an existing backup. But if you haven't backed up your iOS device yet and want to prepare ahead of time, you might be wondering: should you back up your iOS device to iCloud or iTunes? Backing up your iPhone or iPad to iCloud is simple. This can happen automatically, when your iPhone is plugged in, locked, and connected to a Wi-Fi network. You can also manually initiate a backup to iCloud. To turn on iCloud backups, go to Settings > iCloud > Storage & Backup. Tap the iCloud Backup toggle to turn this feature on. If you want to back up your device right away, tap Back Up Now. An iCloud backup can take a while the first time, especially if your network bandwidth is slow. But subsequent backups are quicker, because the device only copies files and settings that are new or that have been modified. By default, you have a free 5 GB iCloud account. You may wonder how you can backup, say, a 32 GB iPhone in such a limited amount of storage. The device actually doesn't back up many files; it backs up photos and videos, and settings, but mostly it stores a record of the apps installed on your iOS device and any other purchased content. Nevertheless, you may need to trim your backup to store everything on iCloud (or buy additional storage). To do this, go to Settings > iCloud > Storage & Backup > Manage Storage, then tap on the name of your device. (If you have more than one device linked to your iCloud account, you’ll see them all here.) On this screen, you can choose exactly what gets backed up to iCloud. In most cases, the biggest share of your backup will be photos and videos that you've shot; these are shown as Camera Roll. Think about offloading some of these photos to your Mac from time to time to make backups smaller and faster. If you swipe up, then tap Show All Apps, you'll see all the apps that get backed up to iCloud. Tap any of the toggles next to the apps listed on this screen to turn off iCloud backup for their data. You can exclude lots of apps from your iCloud backup. This will not only save space, but it will make backups quicker. However, think about not excluding apps where you have entered specific settings, such as a user name or other information: if so, you will have to re-enter the settings if you restore your device. If you have checked This Computer, iTunes will back up your device every time you sync it. It's quick and easy, and since you have plenty of storage on your Mac, there are no options to exclude specific apps. 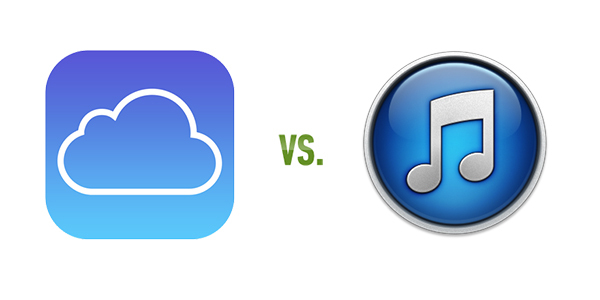 So which is better: backing up to iCloud or to iTunes? Actually, it's best to use both. 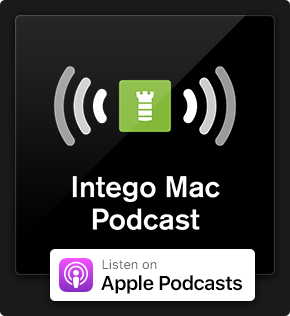 Having a local backup is much more efficient; if you have to restore your device, you'll save a lot of time restoring it in iTunes from your local backup. You also have all of your content synced to the device when you restored – not only what has been backed up, but all of your music, podcasts and books that you didn't buy from Apple. If you've backed up to iCloud, you'll eventually have to sync your device anyway to restore that content. However, if you're on the road, far from your Mac, and you need to restore an iOS device, it's good to know that you have an iCloud backup. This lets you get your apps back quickly, so you can use your device. The best solution is to regularly backup your iOS device to your Mac using iTunes, and occasionally—say, once a week—back it up to iCloud. If you travel a lot, you might want to turn on iCloud backups on your device, and turn it off when you get home and sync with your Mac. 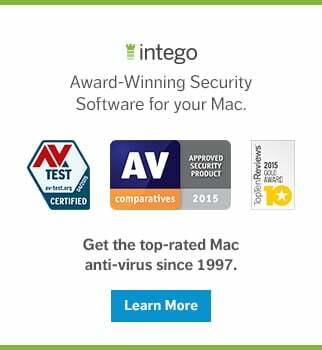 With both types of backups, you're fully protected. Should you need to restore your device, you'll be able to do so quickly and easily if you have access to your Mac, and, if not, iCloud can step in. How often do you back up your iOS device? Do you back up to iCloud or iTunes – or both? Which do you prefer and why? Drop us a comment below! 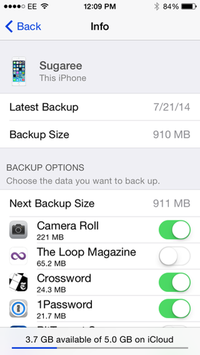 This entry was posted in How To, Recommended and tagged back up, backup, backups, iCloud, iOS Device, iTunes. Bookmark the permalink. I do the opposite: my phone is set to back up to iCloud automatically, and I also use the “backup now” button in iTunes when I sync. Hi, Kirk, Yesterday I upgraded my iCloud memory to 20GB and suddenly all my old iPhoto libraries (originated from my supposedly dead Mac) popped up in iPhoto of my iPhone, which was great news indeed. But when I tried to “restore” them to my replacing new Mac by hard-wiring all the old libraries were gone again. I tried to recover them from iCloud but they are not there either. Any suggestions? Did you overwrite or delete your backup by mistake? If it’s true that you should recover the photos as soon as possible. Because the later you recover deleted photos, the harder you can recover them. You can use some 3rd party software like Wondershare or FonePaw iPhone Data Recovery which can recover deleted files from iPhone. Or you can find the other ways to retrieve. Help.. so my dad has a back up that was done on 3/17/2017… he wants to view the photos located on that backup.. he has a windows computer… how can he view those files? He would have to restore the phone from that backup that has the photos he wants to keep. My settings do not show iCloud back up or back up now, Only Manage Storage. Why is that? Would my apps also backup when connected through iTunes. I need to reset my iPhone. So while restoring could I get my apps back. My MacBook used to backup my iPhone until an update to my iPhone messed that up. I’ve tried to remove that update and no joy.